Many of us look into the mirror and examine our facial appearance on a daily basis. For some, this can be the most frustrating part of the day. From the moment the mirror is bestowed upon us, we find ourselves becoming critical of our facial appearance. As time lingers on, the aging process causes the loss of skin elasticity, and facial fine lines, wrinkles, and creases form. Many people look to surgical procedures for eliminating aging indicators and creating a more youthful appearance. 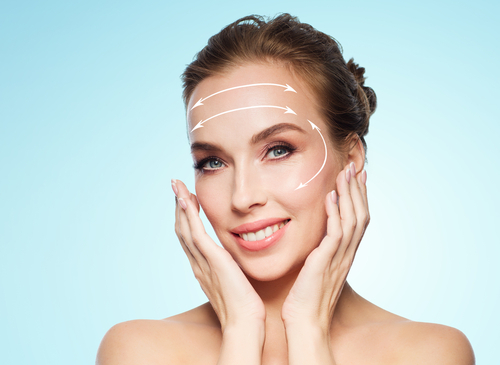 Someone wanting to get rid of signs of aging may ask, “Am I ready for a facelift?” Whether you are undergoing your first facelift or a facelift revision, determining if surgery is the right option will depend on your severity of aging and your goals. Knowing what facelift surgery is performed for and what it can help a person to achieve is key to deciding if it is the right option for you. During the facelift procedure, an incision is made within the hairline beginning at each temple that extends down around the back of the ears into the hairline of the lower scalp. Through the incisions, facial tissues are repositioned and excess skin is removed. The fat deposits along the jowls can be removed and recontoured to diminish the appearance of a “double chin.” Once the facial tissues are reshaped, the remaining skin is redraped over the new contours. Patients who have wrinkles and loose skin on their face and neck may be good candidates for facelift surgery. It is important that patients understand the procedure, are realistic in their expectations, and are in good health. Someone who is willing to maintain their look with a regular skin care regimen and a healthy diet is most likely to benefit with long-lasting results. Dr. Dubrow is highly sought after for revisional surgeries, especially for facial procedures such as facelift surgery. He has ample experience correcting facelift results for patients who are unsatisfied with their outcome or received botched results from another doctor. Patients who want to undergo a facelift revision should wait at least six months or until the face has fully healed from their primary surgery. Dr. Dubrow can evaluate your facial anatomy and goals and help you decide if a facelift revision or another procedure is necessary to meet your aesthetic goals. The American Society for Aesthetic Plastic Surgery has additional information about facelift surgery and what to expect. To find out if you are ready for a facelift or a facelift revision, schedule your consultation with Dr. Dubrow today! He employs the latest techniques and procedures to help you achieve safe, effective, and natural-looking results. Contact us by calling (949) 515-4111 or by filling out our online contact form.